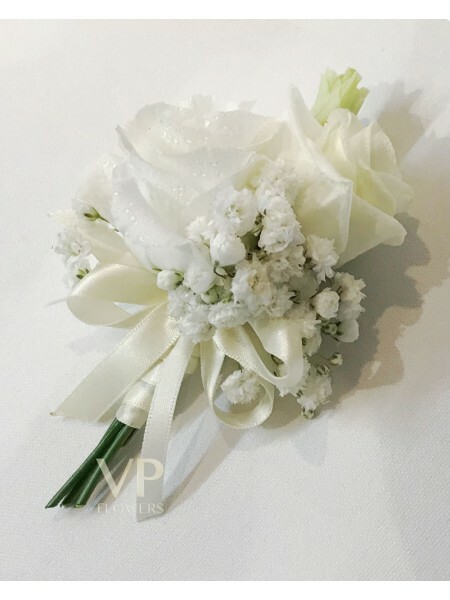 This stunning ladies corsage has been made using one fresh white lisianthus surrounded by bunch of baby’s-breath and wrapped in white satin ribbon. Perfect for rustic, shabby chic wedding. Also available in burlap finish.